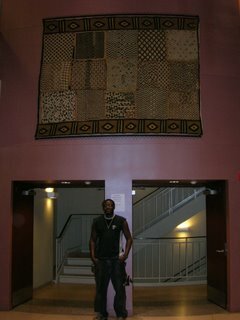 Rabi was commissioned by a local designer to create an African tapestry for the lobby of HealthPartners Riverside Clinic (2220 Riverside Ave S, Minneapolis). 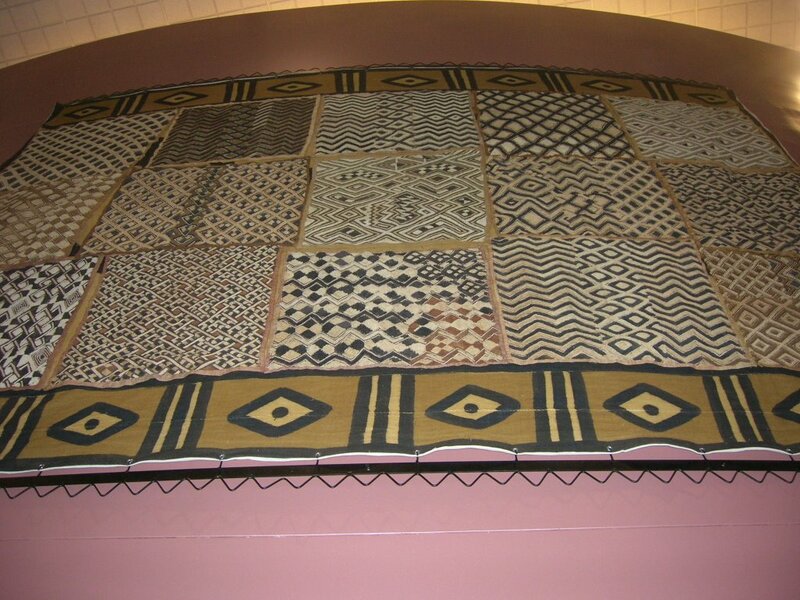 He placed kuba cloth from the Congo over mudcloth made in Burkina Faso. 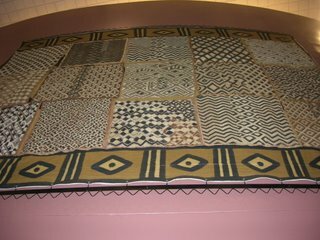 It is 9 by 7 meters. He also made the rod.